Things are hotting up over on Poker Pro For a Year. On April 7th the $15,000 WPT Grand Prix de Paris free roll will take place. Join the biggest stars from poker as they battle it out for this illustrious WPT title. 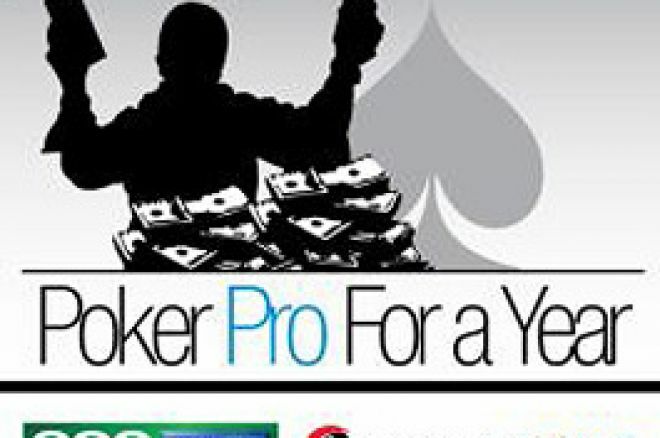 Poker Pro For a Year has been running since the start of 2007. It's still not too late to get in on the action, though. If you download Pacific Poker today you can still collect points from playing in tournaments there. These points will count towards the Series Final. Now one of the biggest free rolls we've ever ran is upon us. The $15,000 WPT Paris Free roll. The WPT Paris is a superb event that is one of the most popular on the global poker circuit. In 2005 Roland de Wolfe won this competition, taking home a massive €480,000. British players have a great record in this tournament. Alongside Roland's victory in 2005, who can forget the final of 2004? As Tony G. put Surinder Sunar to the test. Surinder came out on top for a €680,000 pay day in one of the most memorable WPT final tables in history. You can warm up for the WPT Paris free roll by taking your seat in our $500 free roll on March 28. Why not pick up some handy spending money for your trip to France? Ed note: Become a Poker Pro For a Year. See you in Paris! Climb Aboard the $50,000 H.O.R.S.E. with Sun Poker!